A "HAWKMAN: WANTED" tie-in issue! 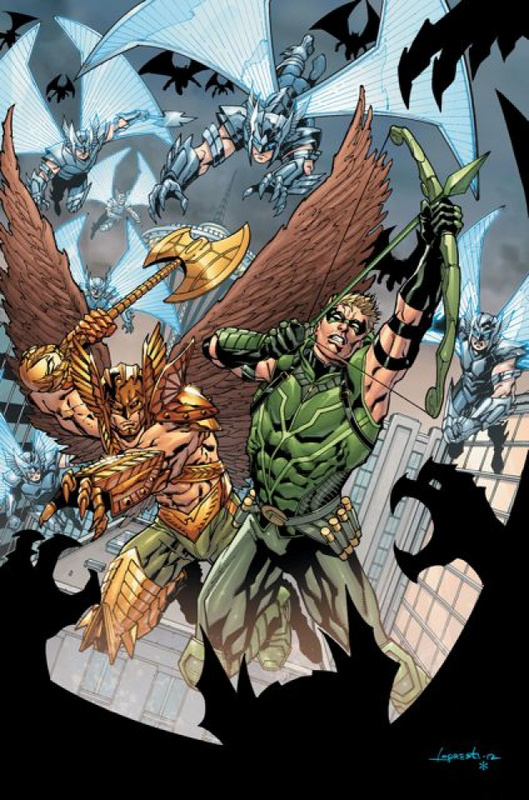 Green Arrow doesn't take kindly to winged threats on his turf and literally jumps into the fight against a team of Thanagarian cops as they chase Hawkman through the skies over Seattle. When the Warhawks capture Emma, Hawkman and Green Arrow team up to kick them out of Seattle for good!